In business and in life consistency is key. It’s the driving force behind incremental improvements and long term success. Whether in the gym, the kitchen or even the boardroom, biting off more than you can chew typically takes its toll. It’s incredibly important to build both momentum and confidence in the beginning by playing for singles. As you get more experienced and your abilities grow you can more easily take the previously impossible steps towards success on surer footing. When most crowdfunding creators come to Kickstarter, Indiegogo or any number of other crowdfunding platforms they have one thing in mind…funding their dream. Their entire efforts revolve around preparing the perfect product launch, their one shot at success, and they’re blind to the other benefits of crowdfunding as a whole. This feels like a very shortsighted approach to success. Inventors and innovators are only contemplating the creation of their product and the rest will of course fall into place. But this is not the case. Even in the instances of the most successful Kickstarter campaigns of all time, this isn’t the end but the beginning of a world altering adventure. Even Ryan Grepper, the crowdfunding master behind the $13+ million Coolest Cooler campaign will need new product lines eventually in order to grow and prosper. Life and business are not stale and stagnant but dynamic, ever-changing and constantly evolving. So what happens next for your company? There are five main benefits every creator gets by committing to crowdfunding. They are: money, customer exposure, potential press, outside interest and of course backers, though the relative importance of these is constantly in question. 1. Money. First and arguably foremost in the minds of inventors and innovators considering crowdfunding to help launch their products and businesses is of course the cash. Manufacturing, tooling, preparing a product for market…all of these take a great deal of dinero in order to start. Most startups aren’t all that interested in losing equity to angel funding or pleading with banks over pathetically crippling loans and interest rates. Instead many individuals turn to crowdfunding to make it happen. 2. Customer Exposure. 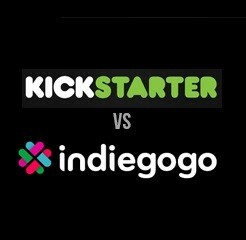 Let’s face it, both Kickstarter and Indiegogo are enormous, with millions of backers each who are interested in new and exciting products and ideas. Part of paying the platform fees is just the extra exposure and support among crowdfunding enthusiasts that helps companies grow and succeed, it’s like free press. Plus it creates an incredibly low-risk environment for testing. Where else can inventors and entrepreneurs so easily market validate an idea? 3. Potential Press. Companies, especially startups, are always looking for validation and support to help sell their products. 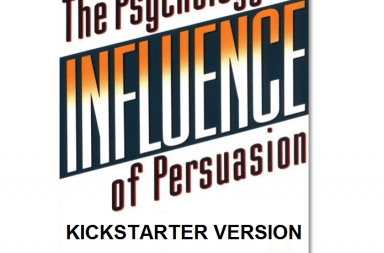 Kickstarter can be a perfect medium for building buzz around a product or company launch. Press outlets otherwise uninterested in covering your story are often excited but massive funding numbers and the extreme success of some Kickstarter campaigns. This ultimately benefits you, the business owner both now and in the long term. Press mentions and positive PR are evergreen endorsements of you and your brand. Displayed on an ecommerce site or About page they’ll build trust and rapport with potential customers long term and help solidify your startup in the space. 4. Outside Interest. Though not applicable to every Kickstarter campaign, many like past guests Seally Cap, runScribe and Orion4Sight really capitalized upon crowdfunding success by getting in front of investors, partners and powerful players in the industry. This won’t happen to all creators of course but offers from Shark Tank, potential licensing agreements and distributor connections have helped many past guests greatly strengthen their post-Kickstarter business growth. 5. Backers. Often almost overlooked when considering the colossal implications crowdfunding campaigns can have upon brands and business, I’d argue for their pre-eminence. Backers, buyers and early adopters are what make your company. 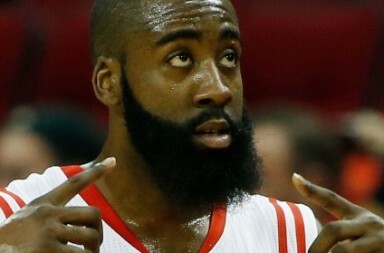 You need to treat backers like the ballers that they are. If they love you, your company and of course your product they become your brand ambassadors, building the company and spreading the message. From showing off your stuff to friends, sharing on social media and providing invaluable feedback on the product they are so much more important than many entrepreneurs seem to understand. There’s a more long term success strategy to crowdfunding and its something more and more inventors and business builders are starting to realize. Look at Rocket Skates, Noke, the Coolest Cooler…what do they all have in common? Multiple Kickstarter campaigns. Success breeds success. Herein lies the true power of backers…long term value. After individuals have mustered up the courage to trust your company and buy from you they’re much more likely to buy again. They know and trust your brand and are excited by what you are doing. Most established companies do an excellent job of recognizing this. Reduced customer acquisition costs, larger lifetime values….these are the advantages of keeping customers for life. Smart Kickstarter creators are beginning to realize and take advantage of this. Each successive campaign many previous backers will help push you forward and the ever-important email list grows. It’s almost a self-fulfilling prophecy that starting small and continually creating bigger, better products and crowdfunding campaigns will work. From added experience running a Kickstarter, better pre-launch lists and credibility in the eyes of backers it’s a powerful strategy to consider. One of the reasons Coolest Cooler killed it, he played for singles with old ideas and till the bases were loaded. Can you find a way to employ something similar in your own startup? Got a large and ambitious idea you’re looking to launch down the line? Might make sense to start learning, build your reputation and boost your likelihood of slam dunk success tomorrow by starting today. What do you guys think? Chime in with any experiences or thoughts. Oh and of course if this article or anything else on Art of the Kickstart helped you forward in your own crowdfunding creations I’d love for you to share it with the world. It’s the only way we grow and are able to help more inventors make amazing happen! Great article. You're right on the money!